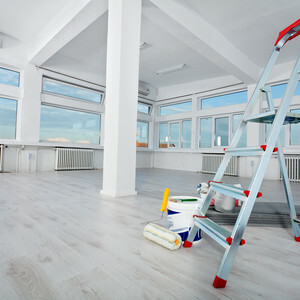 ServiceMaster Clean of Calgary has proudly served the commercial cleaning needs of the Calgary market and the surrounding areas for over 20 years. We specialize in heavy-duty commercial cleaning needs such as carpet maintenance and restoration, hard surface floor cleaning, fabric and leather furniture cleaning. As an IICRC Certified Cleaning Company, ServiceMaster Clean of Calgary is proud to be a nationally preferred and warranty approved carpet cleaning service provider for major carpet mills. ServiceMaster Clean of Calgary manages carpet care programs for many of the regions largest corporate offices with over 25 million square feet of commercial carpet cared for every month. Our Reputation is built upon ensuring customer satisfaction, which is consistently reinforced with pre-service phone calls and post-service follow up. We also survey our customers regularly in order to gauge customer satisfaction and we're very proud of our track record! ServiceMaster Clean is unique in that all of our environmentally friendly hypoallergenic products are researched, tested and manufactured by our team of chemists at corporate headquarters. We can even help buildings garner LEED EB points due to our commitment to eco-friendly products and systems.